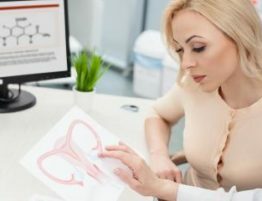 If you need a surgical procedure to treat various conditions in the uterus and surrounding tissue, your OB-GYN may suggest robotic surgery as an option. The minimally-invasive procedure allows surgeons to easily detect the operating site and perform a precise operation without causing heavy scarring on the body. Here’s what to expect if you’re considering this surgical option. Robotic surgical instruments are quite small, which means your incisions are only one or two inches long. This means you’ll be left with minimal scarring and less pain as your incisions heal. To maximize healthy healing, follow your doctor’s post-operative care instructions. 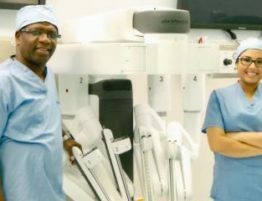 This operation includes a camera-assisted feature that gives your doctor a close-up view of what’s happening inside your body at all times, allowing them to be extremely precise with each movement. Because surgeons can see the operating site, there is less room for error. Your surgeon will perform the robotic surgery procedure from a console nearby. They will use controls to manipulate the instruments, which are highly responsive with more dexterity and range of motion than the human hand. This allows your surgeon to operate in delicate, hard-to-reach places. You don’t want to spend more time in the hospital than necessary;robotic surgery helps minimize your hospital stay. The small incisions, small instruments, and surgical precision mean you’ll be released from the hospital faster, or even have your procedure performed at an out-patient facility. Robot surgery patients typically experience a faster recovery and less pain than patients with traditional surgical techniques.